A safe transport can only be guaranteed when all items are properly packed. We suggest you let our experts take matters into their hands and rely on the packing- and unpacking service SacherUmzug provides. You want to avoid shards and scratches? 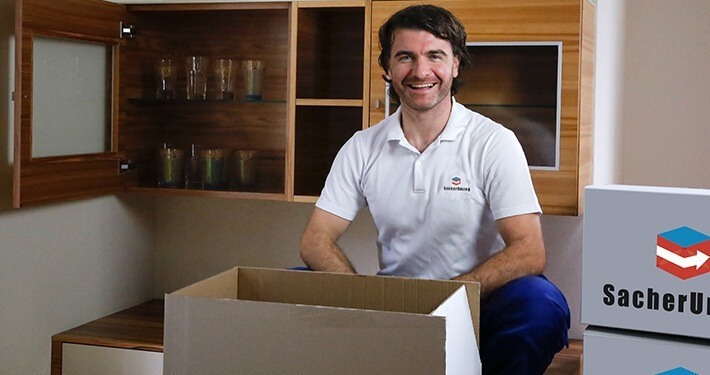 The SacherUmzug team packs your belongings professionally so nothing will be damaged. No matter if you’re moving your dishwasher, the TV, a drawer, or small items like glasses, pictures, or plates – our experts know how to pack in order to ensure all your furniture is protected and delivered safely. We even provide all the necessary packing material. Don’t worry about moving boxes, duck tape, or bubble wrap – the SacherUmzug all-around service includes the best packing materials for a safe relocation.